Here we have another Gold Medal Eagle Range. This model is one of the first to have the ventilating canopy though it sports a different design to the later New Gold Medal Eagle range. 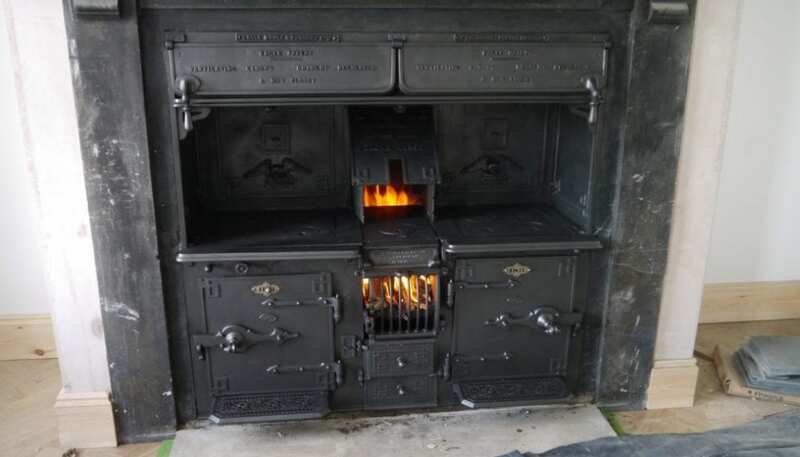 This range was installed into the kitchen of Triley Court, Abergavenny when the kitchens were extended circa 1900-1910. Extensive work was carried out in order to bring this range back into working order though the client stopped short in not requiring the ovens to be functional. Huge efforts were made in clearing the chimney by out team and a total of thirty bags of soot, dust, dead birds and other filth were removed before repairs could begin. Patterns and replacement castings were produced as well as countless repaired parts using mechanical, brazing and electric welding techniques.